We decided to take a last minute stand at the Top Drawer Autumn trade show. The stand was small, but we were in good company sandwiched between Velvet Olive and Clare Close, opposite Rosehip and Timbergram and 1973. 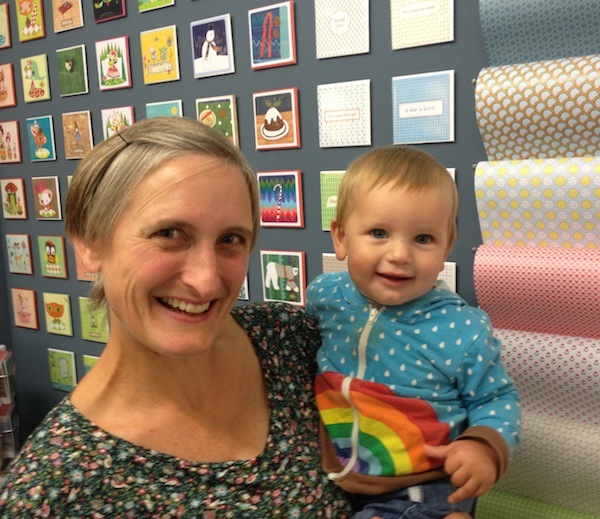 Helen is now back in “full swing” after finishing maternity leave last month. Little Joe still can’t be away from mum for long so he came along too! Overall, the show was worth doing, although we didn’t take as many orders on the stand as we’d have liked. On the positive side our new doubled sided wrapping paper and Christmas cards were a hit. We made some interesting contacts, and as always, catching up with fellow exhibitors, suppliers and trade customers has given us plenty of food for thought. At Cardtastic we make lovely small square greeting cards that we sell to fabulous shops and discerning individuals.